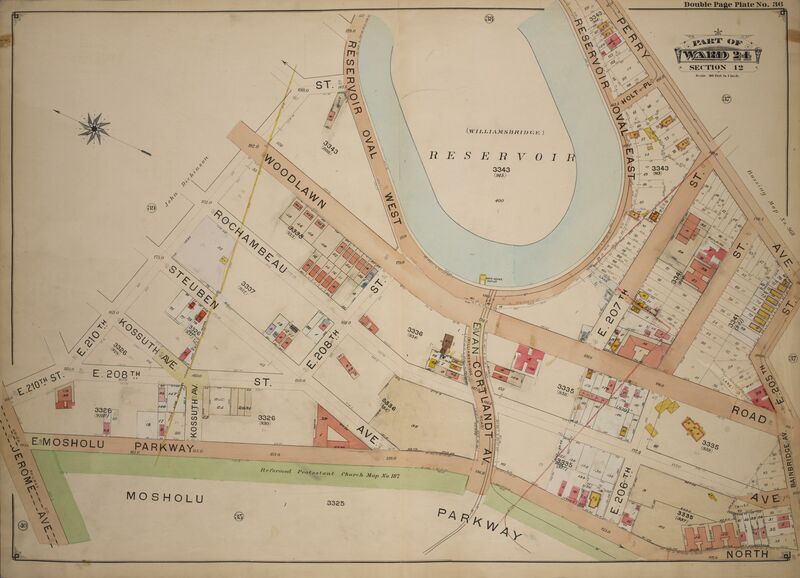 Map of the Williamsbridge Reservoir area, 1901. Image: NY Public Library Lionel Pincus and Princess Firyal Map Division via Wikimedia Commons. E. Belcher Hyde Map Co., Double Page Plate No. 36, Part of Ward 24, Section 12. Atlas of the borough of the Bronx, city of New York : based upon official plans and maps on file in the various city offices; supplemented by careful field measurements and personal observations, by and under the supervision of Hugo Ullitz.